The Fireplace Company has been a locally owned and operated business in the valley for over 20 years. 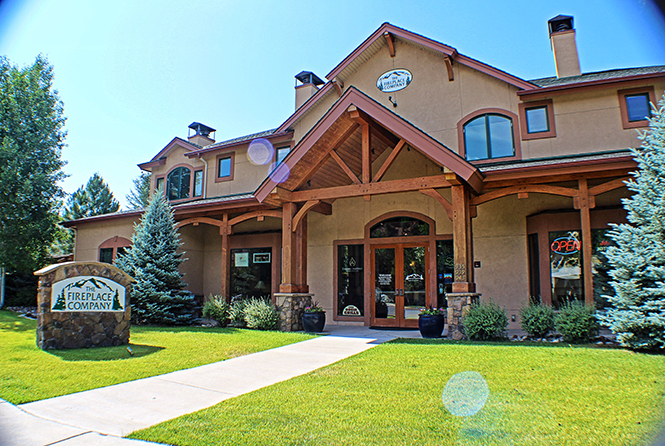 In the summer of 2017, Jay Maher and Katie Wilson took over ownership from long time owners Al and Patricia Blick while maintaining the incredible staff and commitment to superior service, sales and installation of some of the most exclusive high end fireplace and accessory lines available in the marketplace. At The Fireplace Company, you will receive the small business attention you deserve with the big league performance, professionalism and quality craftsmanship you desire. Thank you for choosing The Fireplace Company, we appreciate your business. Katie brings her experience in both software and property management to The Fireplace Company. She took this paper and pencil business completely online and into the 21st century streamlining operations, billing, customer support and helped create an overall enhanced client experience. Jay has been a long time valley resident and brings years of business ownership, construction background, and client relationships to The Fireplace Company. He handles all clients with incredible care and works to see each job is brought to completion with the attention it deserves as if it were his own. Gabe has been a certified NFI Fireplace Technician and Installer working for the Fireplace Company for 16 years. Gabe is a lead foreman with the company and can be seen on site visits, installs, and service appointments. Cesar joined the Fireplace Company over 13 years ago and is recognized as one of the foremost installers in our industry. Cesar is a lead foreman and is part of our install and service teams along with supporting site visits for our clients. Zach is in his third year as a member of the Fireplace company team and has quickly worked himself to gain NFI Certifications and incredible industry knowledge. Zach is part of our install and service teams. Jake has quickly become an integral part of the Fireplace Company team in just two years. Jake has been part of our install and service teams while continuing professional industry education. John has been in the Valley for 42 years and works to maintain that same longevity with our clients while keeping the pieces and parts moving on a day to day basis. A lifelong resident of the Valley Theresia, the company’s service manager, is available to help with any of your service scheduling or billing needs while maintaining that personalized care the valley is known for. Christine, our lead Sales Manager, has been with the company for over 11 years, she is a leader in industry knowledge and is available to help you choose that perfect fireplace for your project while continuing to keep up on new trends and developments. Skylar is the company’s office manager, she brings southern charm to the company and is here to ensure you are handled with care while striving to maintain a showroom that displays our beautiful products. As our Project Manager Dani is responsible for total project management including scheduling, billing, and providing day to day communications with contractors. Dani holds an excellent track record of strong working relationships with owners, architects, and engineers, resulting in successful construction experiences.